Nobrow Press | See You at TCAF! 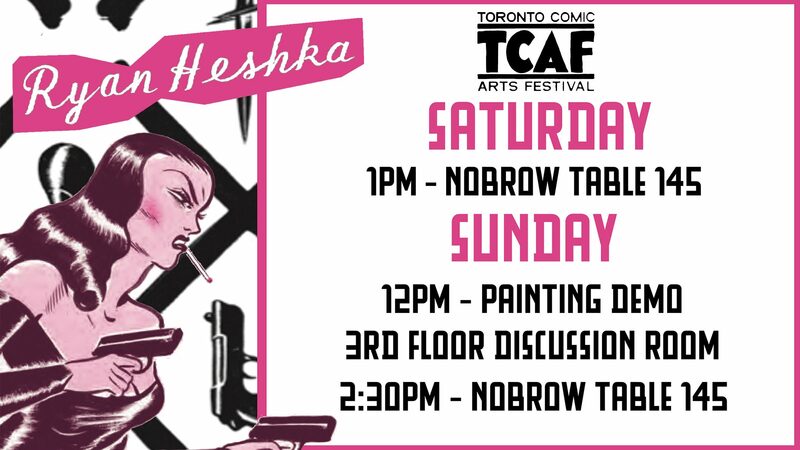 On May 12-13, Nobrow is at one of our favorite shows: Toronto Comic Arts Festival! We’re so excited to be debuting Ryan Heshka’s Mean Girls: Pink Dawn in North America at TCAF, and we’re giving away these matchbooks as long as they last at Table 145. 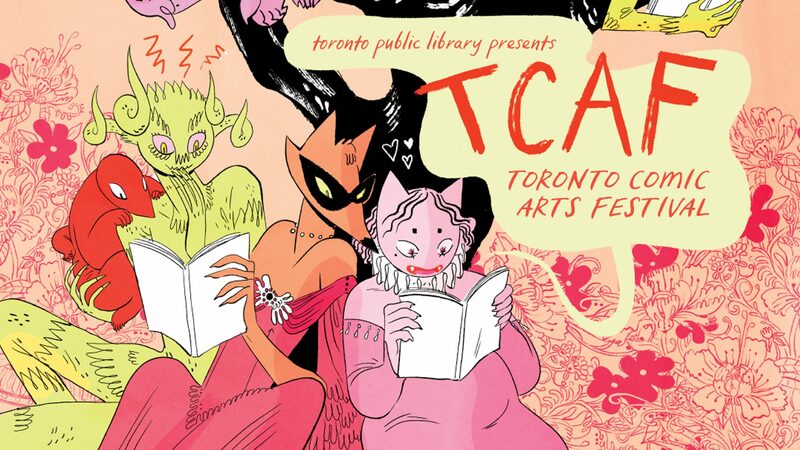 Check out the details below for Ryan’s appearances at TCAF. The amazing artist behind Mean Girls Club: Pink Dawn hosts a live demo where he’ll walk you through his method and process for creating his pin-up inspired retro art. 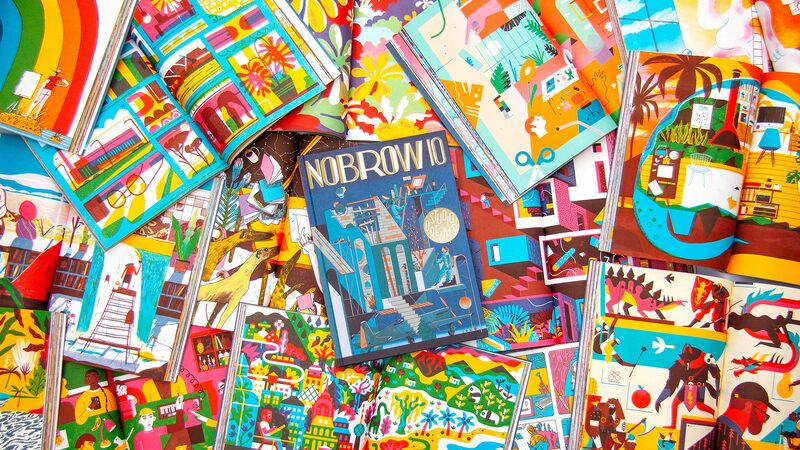 Another TCAF surprise is the Nobrow 10: Studio Dreams Hardcover—available for sale in North America ONLY AT TCAF (you can find the more widely available softcover here). Hurry over to Table 145 to buy your own copy of this incredible collection of artists imagining their ideal studios. These are going to go fast, and they will not be available online, so make sure you get your hands on this TCAF exclusive! Of course, we’ll have even more fabulous titles at our booth, including the Eisner nominated Nightlights by Lorena Alvarez and Audubon, On the Wings of the World by Fabien Grolleau and Jeremie Royer. Follow us on Twitter for the latest show updates!